Price: INR 200 for 150 gm of product. A very basic and simple packaging with the soap wrapped in a clear plastic sheet with product info. I often tend to neglect my skin during rainy seasons as they are pretty humid and don't apply any moisturiser on my face or body during this time, leading to more dryness as I work in AC environment throughout the day. This has been a big problem area for me all these years, but not this time with the wonderful SoulFlower Milk Cocobar Soap. 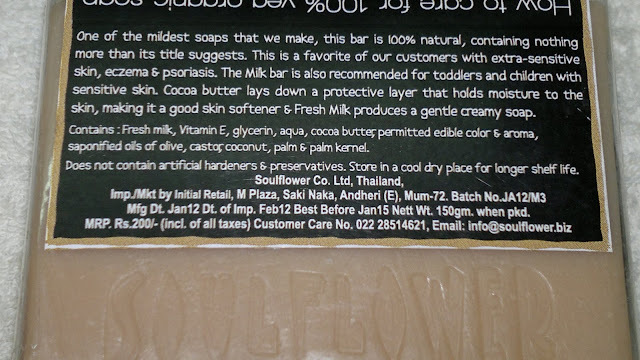 The soap boasts of fresh and natural ingredients, which keep my skin hydrated and moisturised in this weather. The soap has a very light and faint smell, nothing too flowery but a basic clean medicated kind-of smell. The soap is buttery smooth in texture but lathers well. The lather washes off pretty easily without making me feel greasy but leaves a wonderful softness on my skin, which I can easily attribute to glycerine and cocoa butter. My skin doesn't feel dry for the whole day, when I have used this in the morning (btw, I have normal body skin). This soap is very gentle and is primarily for facial skin but I use it for bathing as well (couldn't resist). Product rating: A, available at most online beauty stores. Would love to buy this again and would recommend SoulFlower Milk Cocobar Soap to all looking for a nice moisturising soap. 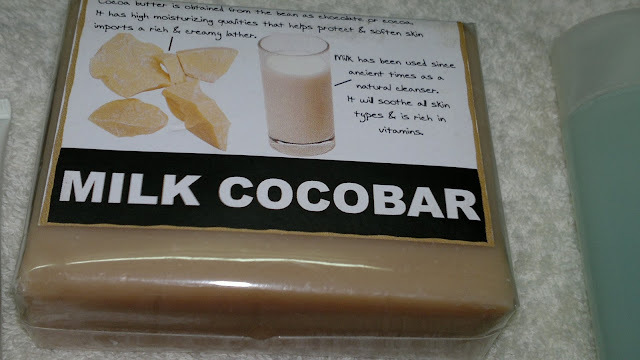 SoulFlower Milk Cocobar Soap might not work as well for beauties with very dry skin. Have you used the SoulFlower Milk Cocobar Soap? Do share your experience in comments below.